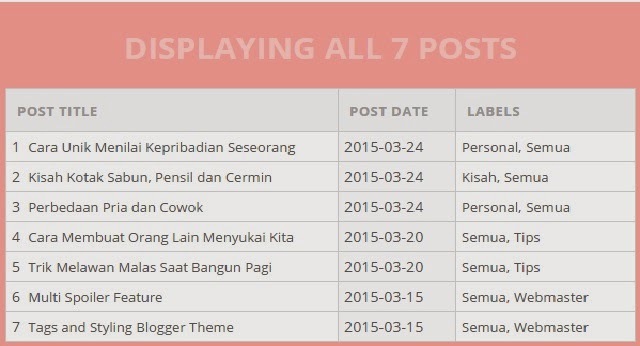 Advantage of this is that the widget sitemap blog look more professional. In addition, visitors can also see and search all our blog article easily. Surely it will add value to the blog plus if the visitor opens a specific article on this sitemap widget. Ok just, the way the application is very easy. Determine the use of fonts and colors to suit your blog. Finally, save the template. If your blog is already there are hundreds of articles, higher is better to limit the page to add style to the first code. Please specify the value of max-height on top as desired. Every picture of your blog post in an article automatically will have SEO friendly code.